You would be hard-pressed to find a more difficult schedule among 4A schools this season than what the No. 8 North Marion boys basketball team has played. Seven of the team's nine Oregon games this season have come against teams ranks in the top 10 of the OSAA rankings. Three more came over the holiday break against California with student bodies that would put them among the biggest 6A schools in Oregon. It's been a non-step test for the Huskies since the opening tip-off against No. 4 Woodburn on Nov. 30. "Our tough stretch began in the first game," North Marion head coach Tully Wagner said. "Our schedule has been really, really tough, which I like. I hope that helps us improve as a basketball team and get ready for league." The Huskies are coming off their most recent game against a top-10 opponent, a 55-54 loss to No. 3 Marshfield on Wednesday. 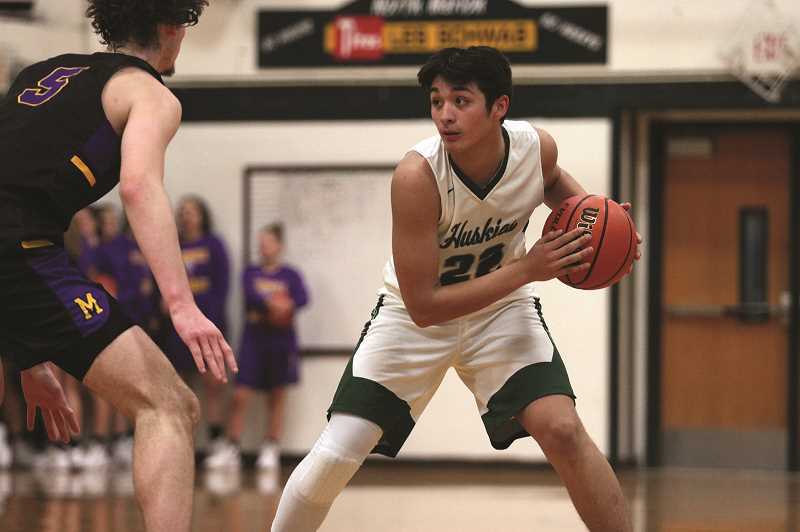 It was a game that was proof of how well North Marion can match up against top-tier opponents, even if the result wasn't indicative of the overall body of work the Huskies displayed. "They're a quality basketball team," Wagner said. "They're really well coached. They hit shots when it mattered and they beat us up on the boards pretty good." But for the first 26 minutes of the contest, North Marion's speed and defense seemed to be the perfect counter to oversized Marshfield team where every player measures at 6-foot or taller. 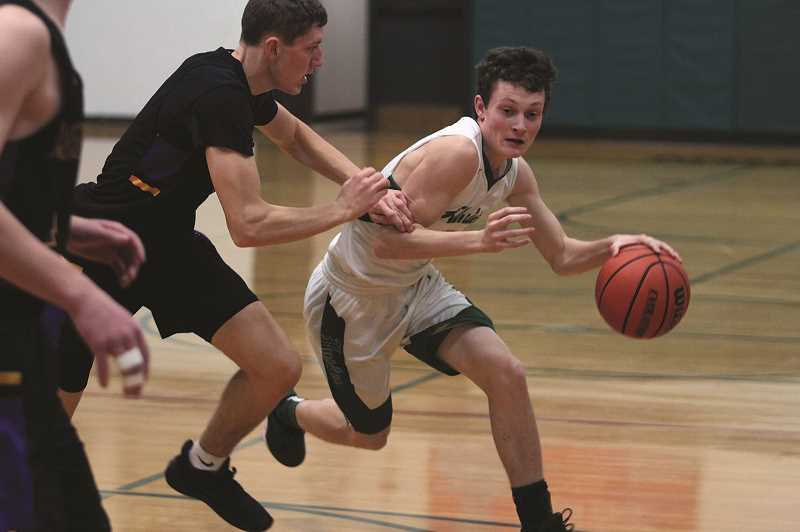 After the Pirates took a 16-15 lead through the first quarter, the Huskies won the battle of the middle two periods, holding Marshfield to just 14 points to lead 41-30 heading into the final period of the game. "We did a really good job making adjustments to how we wanted to defend their bigs throughout the course of the game," Wagner said. "We showed man and zone and contested shooters, (but) they also didn't make shots through the first three quarters. They have good shooters and we know that." North Marion extended their lead to 43-30 to open the fourth, but that's when Pirates finally found their second wind. In the blink of an eye, Marshfield came charging back to tie the game at 43-43, and the two teams traded shots and free throws back and forth for the 6:30. North Marion never gave up its advantage, though, maintaining either a tie or a small lead throughout the contest. But poor free throw shooting — 4-of-9 in the period — allowed the Pirates to stay within distance. Up 54-53 with 20 seconds remaining, the Huskies missed back-to-back freebies, allowing Marshfield the final possession to win the game. North Marion defended the Pirates' initial play, coaxing a missed shot attempt from the left side of the key. But Marshfield's size finally won out in the end to the tune of a put-back lay-in as time expired. "We're seeing what the state has, which again, is something that can hopefully ramp us into league and keep us playing at a high level," Wagner said. "We've been kind of up and down this year, but in our Woodburn game two weeks ago and in our game tonight, we've shown that when we play our best, we can compete with anybody in the state." 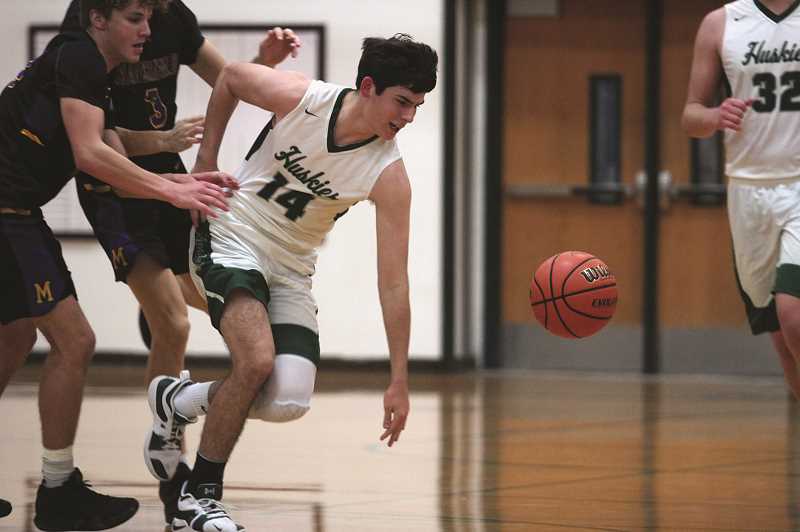 Junior guard Sergio Jimenez led all scorers with 27 points, followed by 10 from Griffin Henry and seven from Johnny Page. North Marion (6-6) was scheduled to host No. 1 Banks (13-1) on Tuesday, followed by a home contest against No. 2 Seaside (10-2) on Friday before entering league play next week.